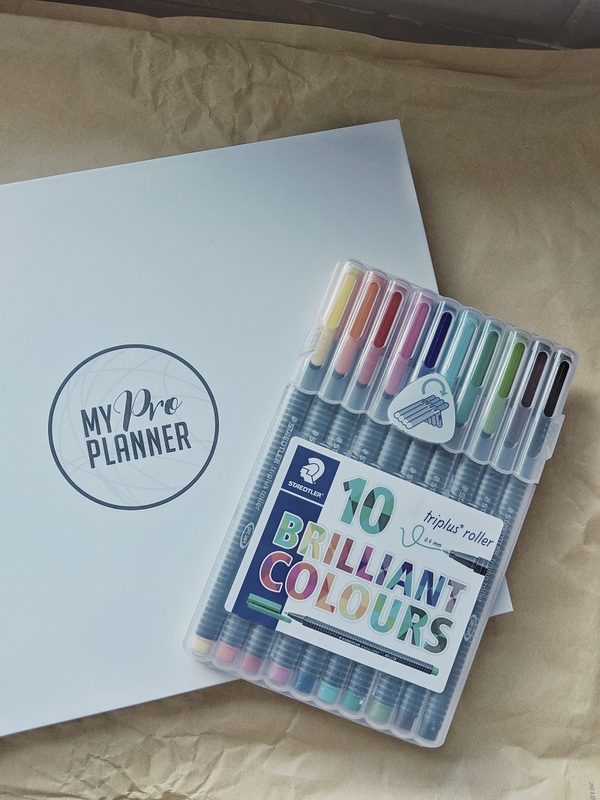 So it’s that time of year when I try and look back over what I had hoped to achieve during the previous year and set myself some aims and goals for the year ahead. 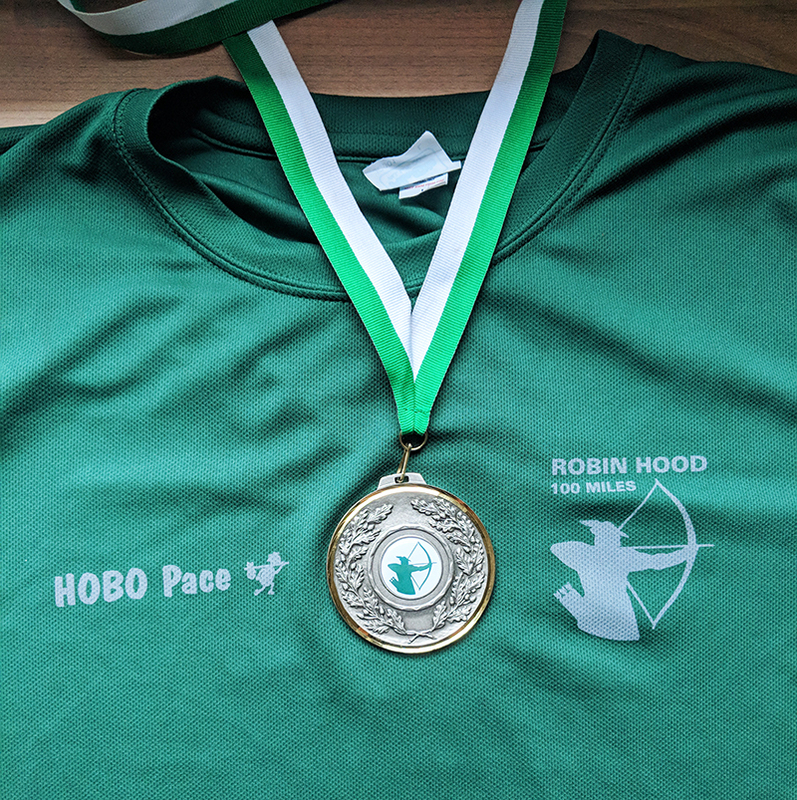 I was so, so happy to have completed the Robin Hood 100 in the Autumn! It meant so much for me to cross that finish line and I will forever be in debt to all the people who helped me get to the start and finish of the race that day. Fail, fail and mighty fail! Haha! 2019 was definitely not the year of the PB (unlike 2015!) My fastest 5k time in 2018 was 27:06 (compared to my PB set in 2017 of 26:35), I walked the majority of Milton Keynes Half in March following an injury (finishing in 2:50:42, when my PB from 2012 is 2:09:16) and the only road marathon I ran during the year was in 28 degree heat. 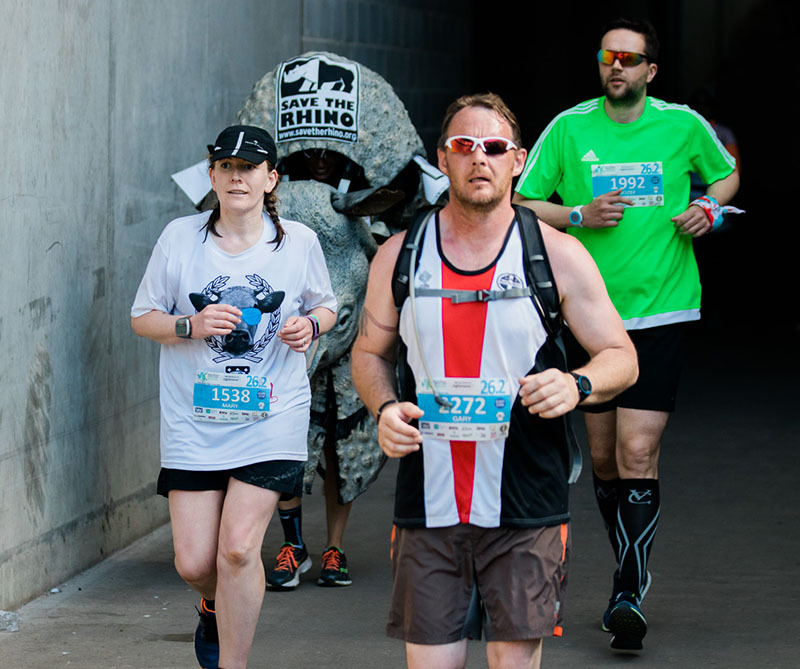 When I found myself dodging nothing but walkers out on the course by mile 11, I decided to just enjoy the race instead, making the most of the race atmosphere and finishing in 5:32:01, a long way short of the 4:54:08 PB I set for myself back at the end of 2015. This has been a big success surprisingly. Without including my standard wage from my supermarket job,-I’ve still managed to bring in a minimum of £500 each month on top of that, whilst still Mumming full time. I’ve picked up a bit of social media work for a few companies, a couple of design jobs, the odd bit of overtime from my supermarket job, a monthly paper round, some work marking coursework for an exam board, filled in a number of quizzes on Prolific, sold some unused items in our house and have recently started my journey into matched betting. Rather than go on a deposit for a second property the money has actually all been put aside to pay for our garage to be converted into a playroom for Oscar. Work begins on the conversion this coming Monday and I can’t wait to be able to give Oscar a space of his own for his toys and games. So, although the money hasn’t been put aside for a house deposit, it has been used wisely (I hope! ), will add value to our house (we already have enough drive space for two cars, and who uses garages nowadays anyway?!). Working hard to ensure I hit this target each month has shown me that I can side hussle enough money away on a regular basis to make a difference whilst still living reasonably comfortably. I’m so much better at this than I used to be! I did have notifications set on my phone for lots of rubbish that I never really ever got time to check. I had a big cull a few months back where I stopped notifications every time certain people tweeted or posted on Instagram and that made a big difference. I find I really have to be in the mood to be actively engaged on Twitter and I was just letting the notifications all build up at the top of my screen until I had time to go through them, which was never! Now that I’m not forever clicking through notifications I have a bit more genuine time for Twitter which is nice, as it does tend to be my preferred social media platform. I’ve cut back a bit, although not yet as much as I would like, but more importantly my Dad has made a massive overhaul to his diet. For somebody who wouldn’t think twice about eating several chocolates a day, (living near to a chocolate factory he was always stocking up on reduced chocolates!) he no longer buys in bags of chocolate for the house. He has also stopped having rich foods in the evenings and doesn’t eat after a certain time each evening as he realised that his choice of food and drink was affecting his sleep and the way that he felt. I am very proud of him. He’s had such a hard year; losing my Mum, his dog, four cousins and going from living in a large bungalow with three adults and a dog to just him, having to learn simple but vital tasks like online banking, writing and sending out Christmas cards (on time!) and keeping on top of the cleaning. All the jobs that my Mum used to take care of around the house. He’s definitely picked himself back up and is taking more control again now which is good. I was definitely on target for this. It gave me a real motivation to get up and moving every day, even on the days I really didn’t feel like it. Unfortunately my Garmin Vivofit died in the middle of November though and I don’t have the spare money to replace it right now. 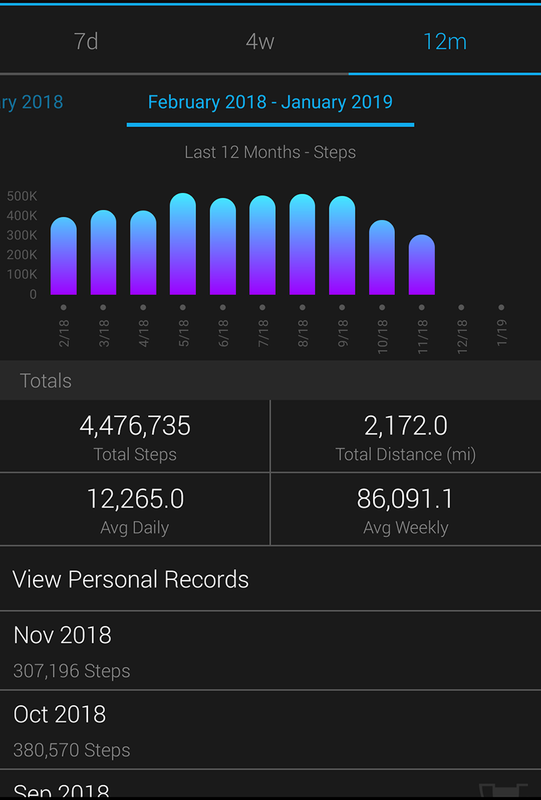 Although I didn’t hit 10,000 steps every day, I managed several streaks of 50+ days across the year and easily maintained an average of 12,265 daily steps for 2018 despite the 6 missing weeks of data at the end of the year. I’m hoping perhaps next year I can justify spending on another fitness tracker, but for now, my arm is fitness tracker free. I know I’m hitting a minimum of 10,000 steps a day at the moment anyway. I work overnight into Monday mornings, and I have always covered more than 10,000 steps during a shift. I then run the remaining six days of the week, with no run (other than my Saturday parkrun) shorter than 6 miles in distance. I’m only really releasing details of my fundraising plans this week, so the bulk of my fundraising money will be collected during 2019. Ronnie Staton, Race Director of HoboPace has incredibly generously offered to come and put on a talk for me to help raise funds for Cancer Research on the evening of the 29th March in Wellingborough. He intends to tell tales of extreme running adventures that he has encountered as a coach and as an athlete himself. Although this event has been arranged for a while now, I haven’t announced it until this point as Ronnie sadly suffered a stroke shortly before Christmas. 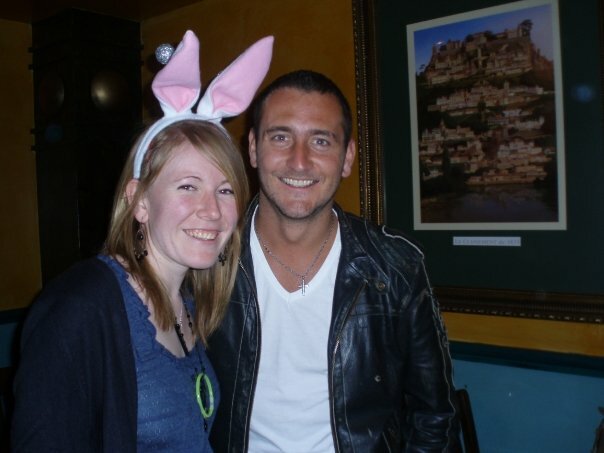 His recovery has been going well though, and he has insisted he still wants to help make my fundraising evening happen. I am so thankful for the time he intends to put in towards making this work. I am just waiting for a couple of details to be confirmed on the tickets and then I will advertise tickets on the blog for anybody who would be interested in coming along. I want to become more confident with talking to people I view as successful. I find myself mumbling and without anything interesting to say, when I know that chances of a lifetime are slipping away! This coming weekend I’m heading to The Running Show as an ambassador for the event. I will be having photos taken alongside the other ambassadors and speakers on both days. Having my photo taken alongside such inspiring people as Paula Radcliffe, Jo Pavey and Nell McAndrew, – heroes of mine. I want to challenge myself to step outside of my comfort zone, ask for selfies, chat to those people and learn as much as I can from the experience. With my VIP entry I also have access to the VIP room and the VIP meet and greet area. I am so looking forward to the experience and really hope I can come out of my shell enough in order to make the most of the weekend. This WILL happen. It’s my main focus for the year. At the moment I’m putting everything into my London marathon training. No shiny ultras are going to distract me along the way this time! Too many members of my family have died from cancer during the last 18 months. It scares me to think that without research even more family members could go down the same horrible route as my Mum. It scares me to think that Oscar’s family could slip away from him all due to the horrible illness. I want to be a part in helping to raise money for research to a cure and prevention. At the back of my mind I still really want to get a parkrun set up in our area, closer to home. I’ve had a couple of knock backs from local parks this past year but one day I’ll get there and I’ll be able to set something up I’m sure. When that day comes I’d like to have enough experience in the different roles to be able to assess what is required at the new event. 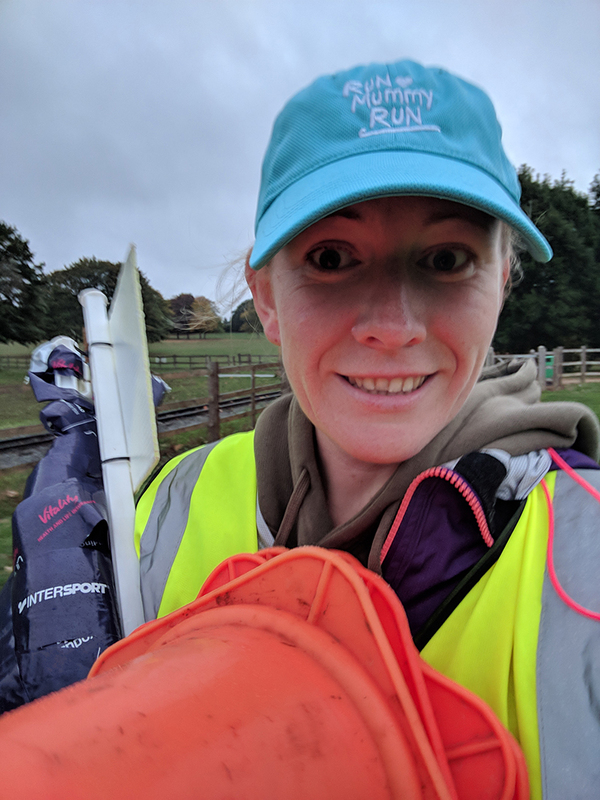 I love the whole parkrun concept, and have known so many non-runners find the running bug after starting their running lives at the free 5k parkrun on a Saturday morning. This is a big thing for me. My Dad is a hoarder. Not the kind you see on Channel four shows where the occupants of a house can barely make their way to the chair in the corner of the room and the bed hasn’t been seen for weeks. But, he’s always been a bit of a wheeler-dealer. He’s brought ‘bargains’ back from auctionhouses with the intention of selling them on for profit, and rarely throws anything away, just in case it comes in useful one day. His large five bed bungalow is very much full, and when my Nan (his Mum) died back in 2003 he built a large cabin-type shed in the garden to store her belongings. It still contains china and furniture and hundreds of photographs which he has put off sorting through. I take after my Dad. An eye for a bargain and a hoarder of nostalgia. I have boxes of items of belongings that are only meaningful to me. Having grown up sharing a room with his brother, when I first met Dan he had very few personal belongings. You could fit them all into one very small box. He has a few more now, but still nothing in comparison to the items I have in our house. This past year though, since my Mum died and since having Oscar I feel as though I’m finally ready to start letting go of some of those belongings. I would much rather be spending quality time with my family than digging through boxes of paperwork to find a guarantee for something I never got round to filing, or having to spend time tidying away and cleaning under piles of things I don’t pick up for years at a time. I’ve bought very few things into the house during 2018, as we have made huge cut-backs in order that I can remain a full time Mum to Oscar. It has done wonders for the clutter and staying at home has also given me a chance to begin clearing out and organising the space we do have. It also helps that I’ve become addicted to shows like Tidying Up and Consumed on Netflix since the start of the year! I want to spend my time with people, not things. This year I really want to clear out a good 30% of our items and become more minimalist about our belongings. My Dad has also asked me on a number of occasions now if I will help clear his house, so it will be a good year for us both I hope. This is probably the hardest item on the list. To find a spare three hours or so to write a meaningful blog post each week is a really tough ask when I already cram so much else into my week, but I hate it when I don’t get time to write about a race, or leave it so long to write up my recap that I’ve forgotten half of the details. I love the blogging life – it’s become a real outlet for me over the past few years. 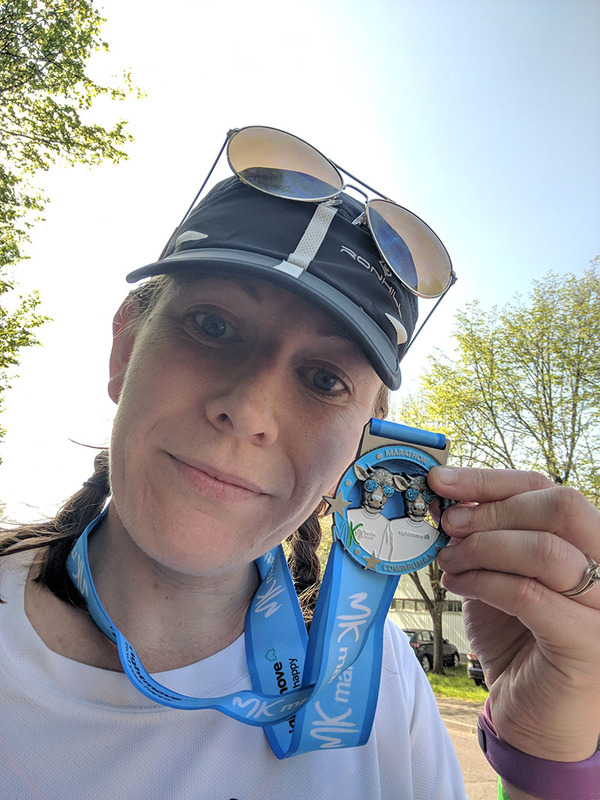 I’ve gone from hiding away, hoping nobody I knew found out about my little corner on the internet, to sharing my blog address with runners from my running club and letting real life friends follow my AHM Instagram account. I’ve been invited to some fantastic events over the years and met some lovely people through blogging that I’m proud to call friends now. I hate that I don’t have the time to put into blogging and reading the blogs of friends that I once had, but hope to put more of a focus on this again during 2019. How many hours do you spend writing blog posts? Ever met anybody famous? Do you go all shy or ask for a picture? How much water do I drink? I know what you mean about being shy around famous people- I even get tongue tied when meeting Mickey Mouse. I met PSH at a parkrun evening and I got him to sign a magazine (he was in the magazine) but I could only ramble on about how much I loved parkrun and was too shy to ask for a photo! Danny Norman was at that event too (as his mum and dad volunteer at the local parkrun each week) and I was too shy to even speak to him and I am sure he would have been so friendly. It’s something good to aim for! I am not so much of a hoarder but I do save things for special occasions and then never use them (or eat them- eg fancy chocolate or whatever), so I am trying to use the nice things/ wear the nice things more often if that makes sense. I am not overly sentimental so I don’t have loads of things from my childhood. I totally love the tidying up show! I can’t stop me from making a comment on this post. How do you manage all those things? Volunteering in multiple events, marathon, walking… You are really motivated I must say. God bless you and helps you towards your goals in 2019. Wish you to be successful in all steps of your life. I think you’re simply amazing. You do so much and achieve so much. Who cares if you didn’t manage the PB goal – you’ve achieved SO much more. I hate clutter. My parents are always keeping stuff and it turned me the other way. I’m not very sentimental so I tend to get rid of things quickly. I like a bit of space and tidiness!